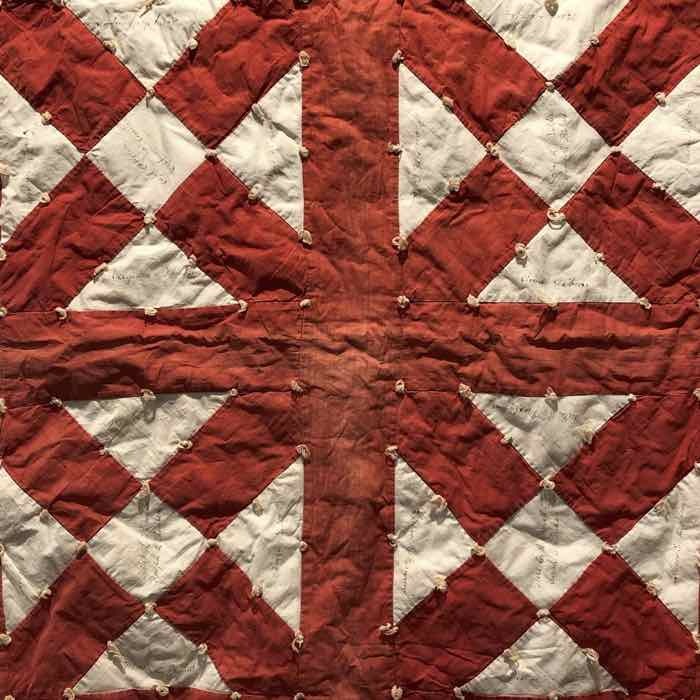 In December 2018, Melrose, Massachusetts welcomed back a Victorian era inscribed quilt. 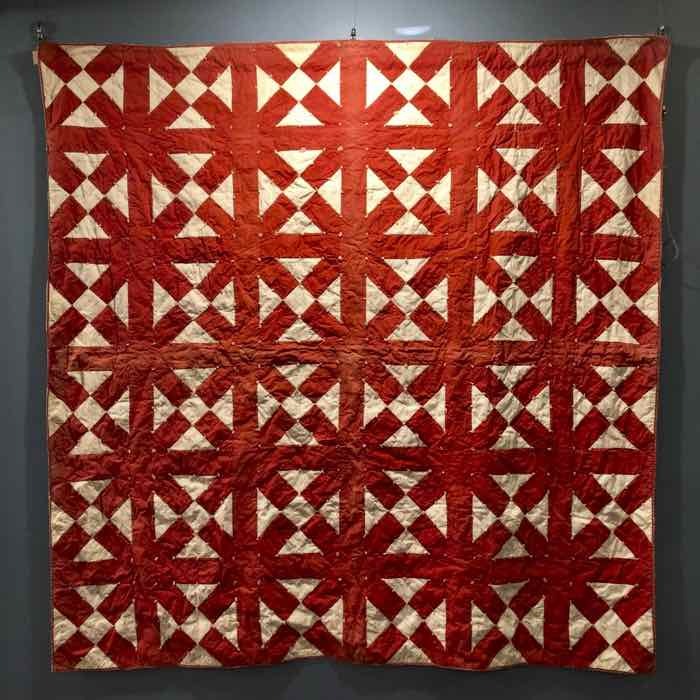 Red and white, made of the Old Italian or Snowflake block, the quilt has more than 220 names. 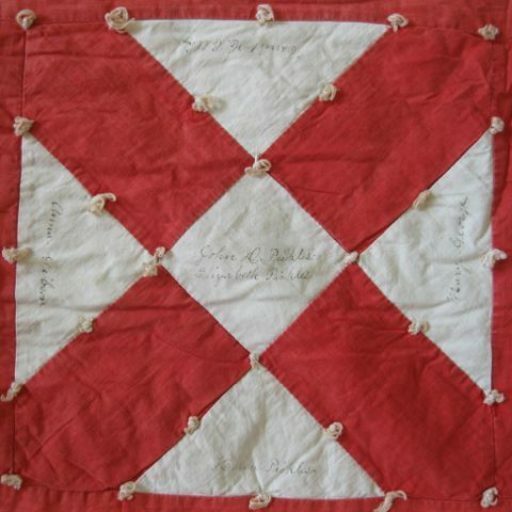 Ann Wasserman, a quilt restorer and anthropologist, researched biographies of 184 of those names. 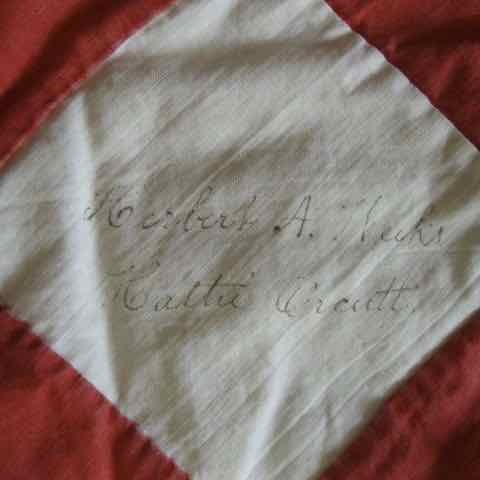 We estimate that the quilt was made around 1897 – 1898. 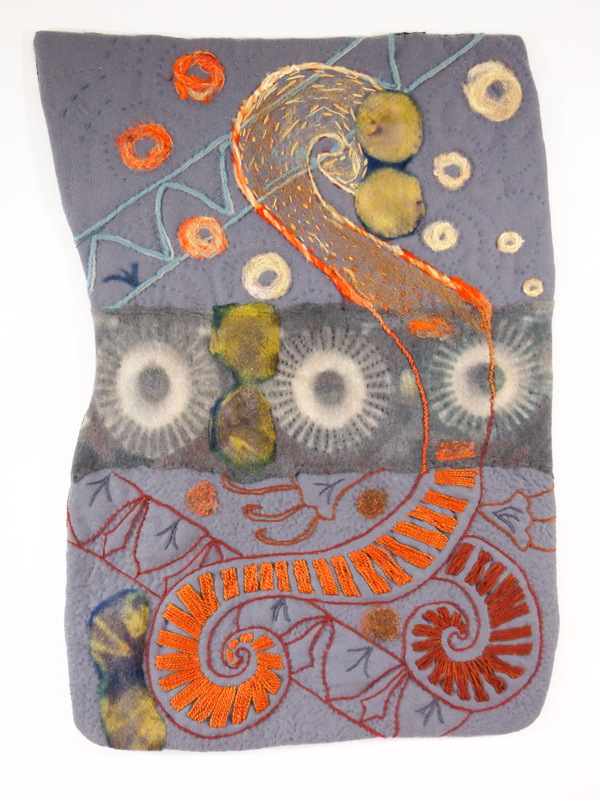 Melrose resident Alanna Nelson spearheaded the homecoming celebration, which coincided with the Chamber Home for the Holidays and Melrose Open Studio Tour. 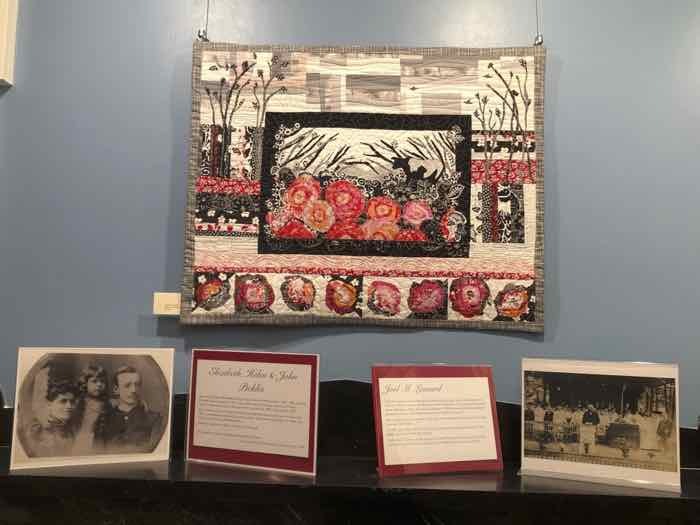 The “Melrose History Quilt” was on display at the Beebe Estate from December 1 to 22, 2018. 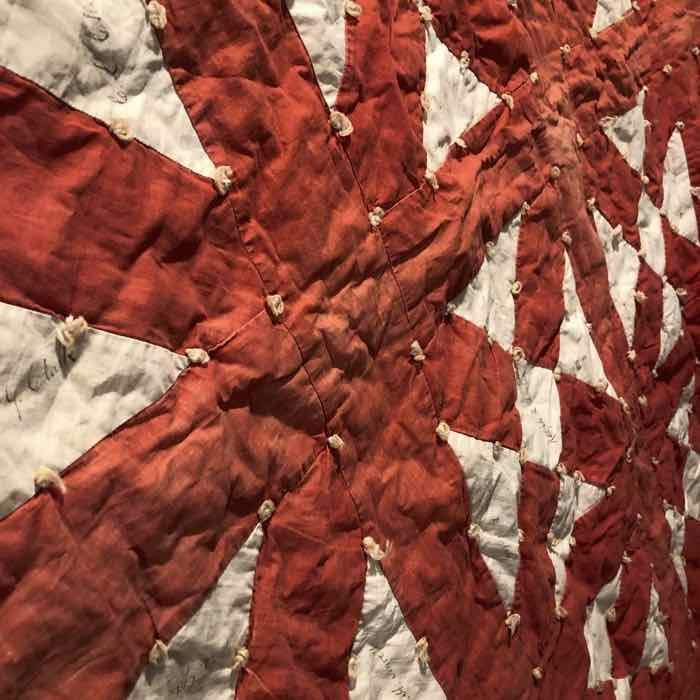 Photos, maps and stories of the people whose names are on the quilt gave visitors clues to life in Melrose 120 years ago. 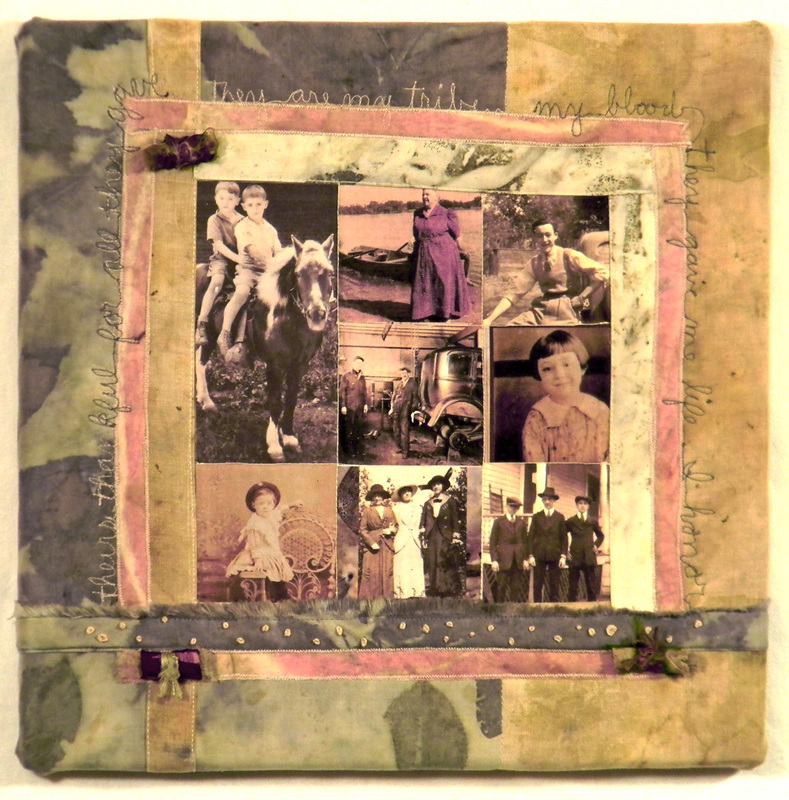 You can download these biographies to learn more. 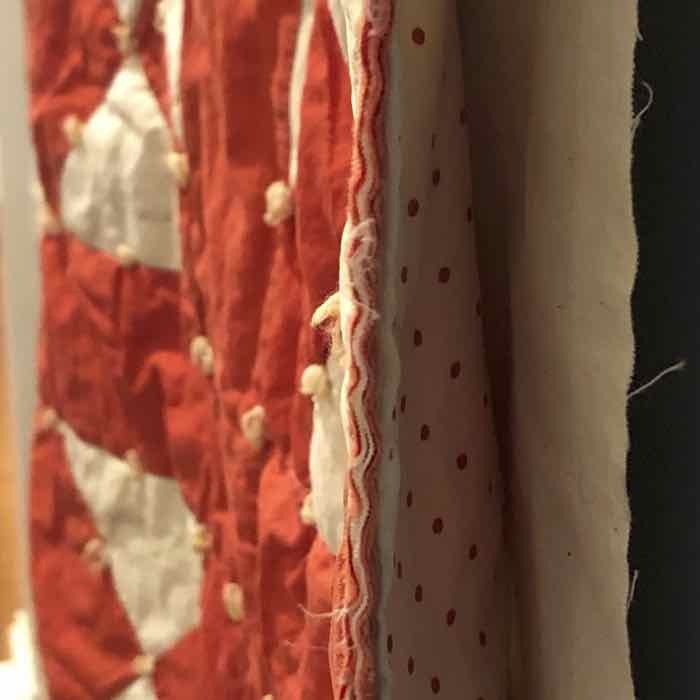 On December 8, Ann Wasserman presented “Quilt Repair Tales,” sharing stories of the Melrose History Quilt and textile conservation approaches to a crowded room. You can stream her presentation at MMTV. 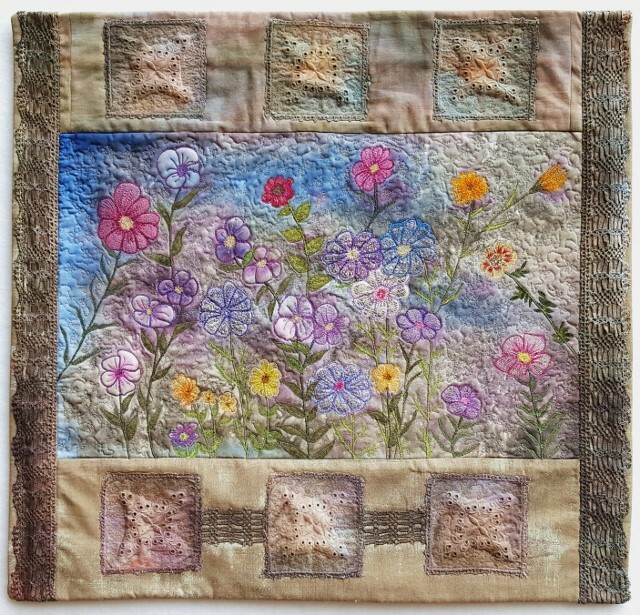 Search for “Have Camera, Will Travel,” then choose Quilt Repair Tales. Seven locations in Melrose were adorned with knit and crochet decorations during the homecoming. 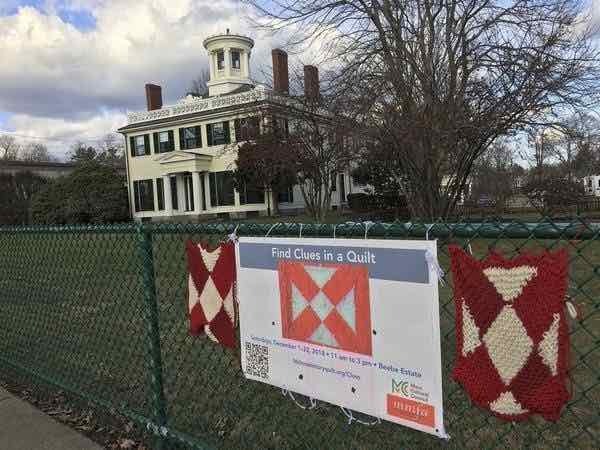 They marked “Clues from a Quilt,” a scavenger hunt that gave more information about Melrose as it began the 20th Century. 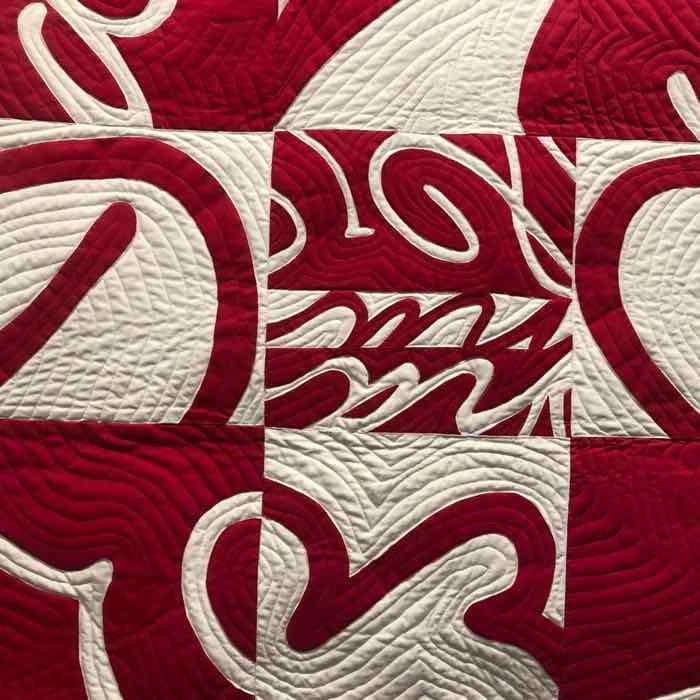 Which names are on the quilt? 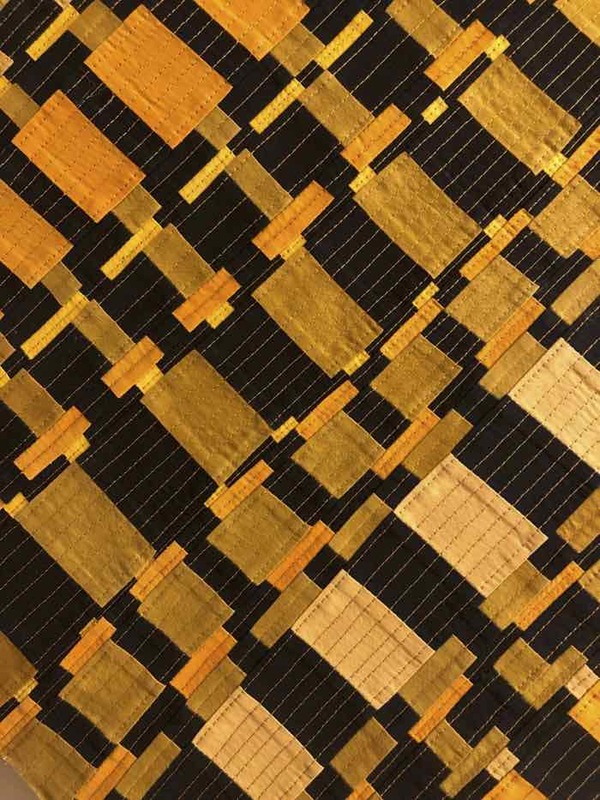 Download the list of names on the Melrose History Quilt. Thanks to Ann Wasserman for taking the time to research all of these names. 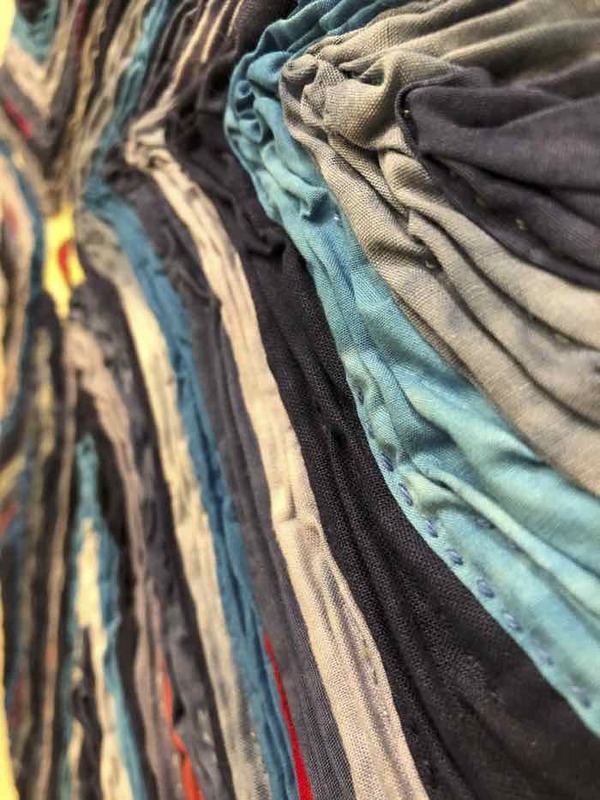 This project is funded in part by the Melrose Cultural Council, a local agency funded by the Massachusetts Cultural Council, a state agency.